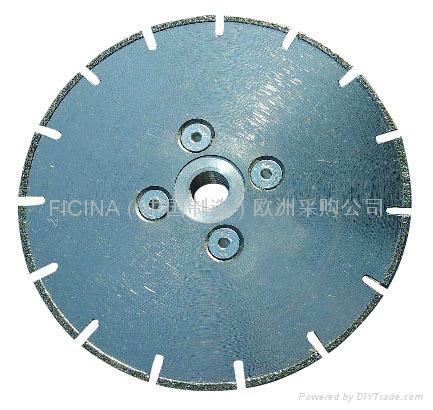 Specifications︰ Electric-placed diamond saw blade for cutting marbles. Available in Ø mm 115 ,125, 150 ,180 ,200 ,230 with hole Ø mm 22,2 or MA14 or MA16 Flange. Tarcza diamentowa, segmentowa,wzmocniona, do marmuru. Advantages︰ Made of good quality diamond , cutting fast and long life. For re-sellers, always discount for orders in quantity.